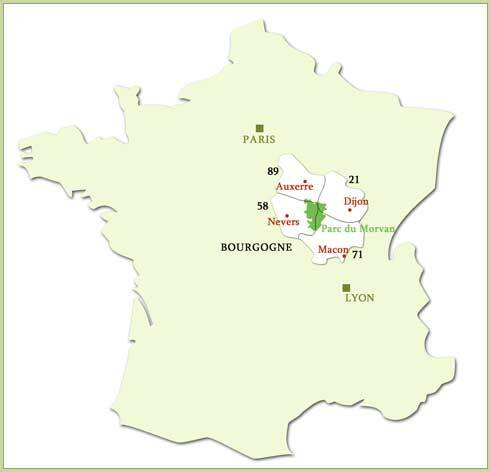 Bed and Breakfast and Gite in Morvan – Burgundy "Les Champs Cordois"
Only 2h25.-Take the A6 South till the exit Avallon, then direction Dijon. -Lyon by RN6 Take right Cussy-les-Forges; by the end of Cussy, turn right St Léger Vauban (brown roadsign). 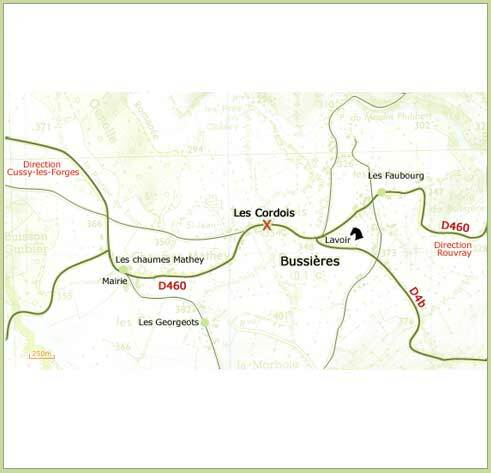 -Keep going on the D60 for few kilometers then turn left Bussières. Les Champs Cordois are around 1 km down on the right. 2 h30 from Lyon. 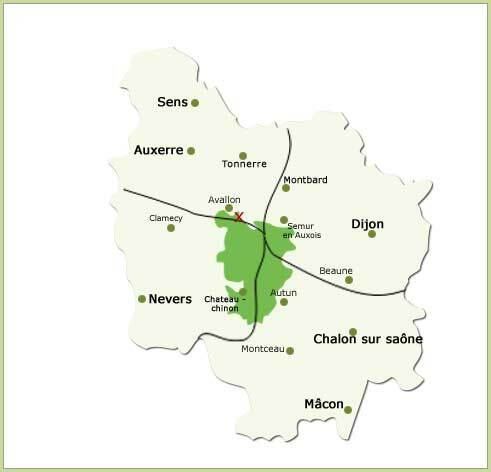 Take A6 North Paris till the exit Bierre les Semur, then direction Précy-sous-Thill. In Précy, take right on D70 direction Avallon, keep going on RN6. Turn left Rouvray, then right, go through Rouvray, turn left direction St Léger Vauban and right Bussières. Les Champs Cordois are on the left direction Mairie. 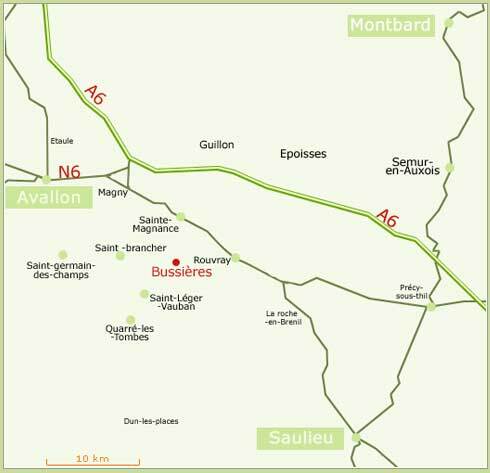 Paris – Montbard by TGV 1h10, then take the bus for Avallon Avallon station. Your hosts may pick you up at one or the other station.